Here’s a recent Washington Times editorial by Boeing 737 captain Tracy W. Price detailing yet another TSA fiasco, this time on guns in the cockpit. I can find no reason for the TSA’s behavior except to say that they do not even remotely understand who they’re dealing with–on either side of the cockpit door. As far as I’m concerned, every airline pilot should carry a loaded gun once they start flying Part 121 (Scheduled Air Carrier) service. And if the TSA had thought this through, they would have to come to the same conclusion. Pilots don’t reach the cockpit of an airliner quickly or easily. First they have to spend six figures and 3-5 years on training as the progress from student certificate to the coveted ATP certificate. 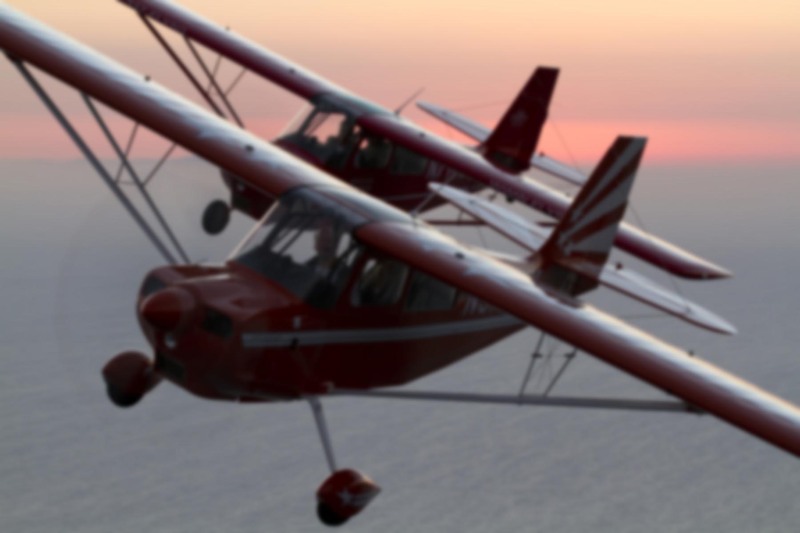 Each certificates or rating involves many hours of flight time, ground instruction, and a three-part exam that combines a written test, practical exam with an FAA examiner, and an oral exam. Then there are the medical certificates. Airline pilots are required to hold a first class medical certificate, and it only lasts six months before it has to be renewed. The medical examiners have the power to remove you from the cockpit, so it’s not exactly a low-stress affair. A pilot’s first job is typically as an instructor for maybe $10,000 a year (if they’re full-time). After that typically comes a few years flying checks, cargo, or charter for the same kind of money. Maybe a stint flying in Alaska or doing sightseeing flights over the Grand Canyon. Then comes the big break–a commuter airline job. First as a co-pilot, then captain. The pay range there runs from $20,000 to $40,000 a year. Eventually if their flying record, driving record, and personal lives are clean enough, they might get a shot at a major airline like Delta or United. By this point, a pilot has 15 years and maybe $150,000 invested in this career path. Or they’ve gone the military route and have spent the last decade flying the F-16 or perhaps a C-17. The “majors”, as the big airlines are called, have an extensive vetting and application process that includes detailed background checks, psychological exams, medical exams, personal interviews, reference checks, written tests, and a flight test in a full-motion simulator. Once you’re hired, the real work begins. You’ve got to obtain a type rating for whatever jet you’ll be flying. It’s heavy on academics. A Boeing jet can have 100 miles of wiring inside it, and you have to know where each wire goes and what it does. You have to know how many amps an AC pack draws, which buss the rear lavatory is on, and the ply and pressure rating for your tires. You have to know hydraulics, avionics, engine limitations, and more. You must know FAA regulations, company policies, weather theory, aeromedical factors, and… well, you get the idea. Captain Price mentioned the simulator checks. These are FAA Level D, full-motion, six-axis simulators costing tens of millions of dollars. It’s so close to reality that you can’t tell the difference. These simulator sessions are not easy. On a typical takeoff, the instructor will give you an engine failure, fire, and hydraulic malfunction right at “decision speed” (the last moment where you can abort the takeoff). Once you’ve handled that, you have to land the aircraft in a gusting crosswind on a fog shrouded, ice covered runway while performing the appropriate emergency checklist items from memory. Then the brakes or thrust reversers will “fail”. And if you complete that run successfully, the instructor will reset the sim, placing you back at the start of the runway to run and even tougher scenario. It’s extremely difficult, even for the best of the best. The instructors will keep adding new challenges, failures, and malfunctions until you break. That’s their job. So this is your typical airline pilot. These guys are flying a 400,000 lb. aircraft with 300,000 lbs of fuel and 350 people on board at nearly the speed of sound. The kinetic energy of a loaded jet is astronomical. If September 11th proved anything, it’s that such a vehicle is second only to nuclear weaponry in terms of its destructive potential. Can anyone explain to me why the TSA would discourage these pilots from carrying a gun? And let’s not forget the crash ax. This is a massive red ax mounted on the aft wall in the cockpit whose purpose is to allow the flight crew to extract themselves from the aircraft after an accident. It’s an FAA-mandated piece of equipment. It’s ok for pilots to sit three feet from this thing yet they are not allowed to carry a pair of tweezers through airport security? Bottom line: either pilots are trustworthy or they are not. If they are, then they should have a gun to protect the cockpit from takeover by terrorists. If they are not, then what are they doing on the flight deck in the first place? What an education I got from this writing! Thanks Carol R.
thanks for teaching me so many things i’ve never been aware of before. in my old age i feel as though i’m going back to school and learning things that were never in my curriculum. this world has progressed so fast, it’s hard to keep up. i spoke to neil albert yesterday and he asked about you. he said that he hdn’t heard from you in quite a while. i did tell him that we keep in touch and you send me some very interesting editorials. by the way, did you get the see’s candy for xmas? we just want you to have a good and sweet year. You give a lot of attention to the requirements to become an airline pilot – but no where to provide any support for your comment “Can anyone explain to me why the TSA would discourage these pilots from carrying a gun?” In what way does sim-time, grand canyon tours, or passing an FAA exam qualify you to carry and/or use a firearm? A classic logical failure. The flying stuff doesn’t qualify them to carry and/or use a firearm. That qualification would come from dedicated firearms training, just as it does with anyone else who carries. But that’s not the gist of the article. My point was that if we were really interested in preventing another 9/11, arming aviators and teaching them to defend themselves would yield better results than confiscating tweezers from pilots and then sealing them into a pressure vessel with 150 total strangers.